TWO NATIONS AT WAR. ONE GIRL CAUGHT IN THE MIDDLE. Rain Aranoza is a teenage bomber-pilot from Rodina, a nation of science and fact ruled by the all knowing Aura, where the belief in witches or any type of superstition is outlawed. Rain's regiment is made up of only teenage girls and their role is vital to the war effort against the Crux, a nation of faith and belief, where nature and God are celebrated and worshipped. But Rain is struggling with another battle. She's always had a sense that her nature is different from everyone else's, and that a dormant power threatens to burst out of her. But what will she lose in the process? In the past, I never used to post reviews of books that I didn't finish. I didn't feel like I could write enough about them for the post to be considered a review. But I have changed my mind, and decided to give this a try. Please don't class this as an "official" review, more of my jumbled thoughts on the book and why I wasn't able to finish it. It's probably best to jump straight into this, and tell you the reason that I stopped reading. Well, on page 13, "the most beautiful boy I've ever seen" showed up. Yeah. Page 13. After that, I knew this book would just be about the romance, like so many YA books are, so I must admit that I didn't try very hard to get into it. 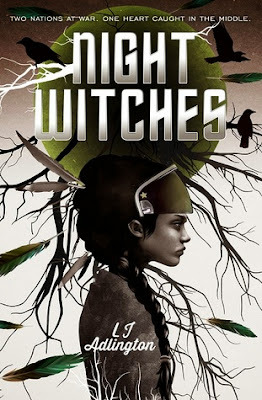 You see, I was expecting this to be a book driven by tough female leads, and, like I have heard about Code Name Verity, that the relationship between the Night Witches would be the most important part. I wasn't interested in any guy showing up, especially if he was the most beautiful boy ever. Just, please, shut up. Well, how as that for the shortest review ever? I think this might be a new record. 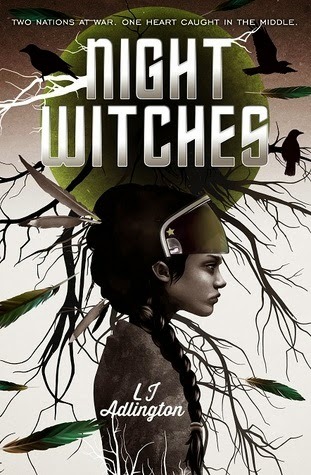 Basically, don't promise me a book about badass women, and then throw in a romance that is clearly going to turn into instalove within the first thirty pages.